The Conjuring is a really effective and scary horror movie. Is it the most original? No, but it’s worth seeing if you like scary movies. If scary movies freak you out, then beware. This is “based on a true story”, meaning we should take their word that all this supernatural horror actually happened. The names of the paranormal investigators and the family are based in reality. The film is set in 1971 when Roger and Carolyn Perron move into an old farmhouse in Rhode Island with their five daughters. It only takes one night for them to start to worry that something sinister is going on in their home. As things get worse they call the ghost hunters Ed and Lorraine Warren to look into the paranormal activity and see what they can do to rid the house and the family of the awful activity. The whole time I was watching this I kept thinking of both The Exorcist and Paranormal Activity, and indeed the plot of the movie is essentially a combination of those films. Once again, not a bad thing, because even though this movie isn’t too original, it’s well acted and well constructed. Watching the paranormal activities slowly unravel and get worse in the house successfully builds the tension, which eases once the supernatural squad starts investigating the house. It’s as if you feel comfortable with the kooks there. By the end, the movie creates one horrific scene after the other with the tension high once again. I will say that I was quite satisfied with the ending, and the credits make the movie much spookier when you see photos of the real life families involved. If you’re a fan of horror movies, bring some friends along to see The Conjuring. Who knows, maybe you’ll be able to scare the crap out of them after you see it! 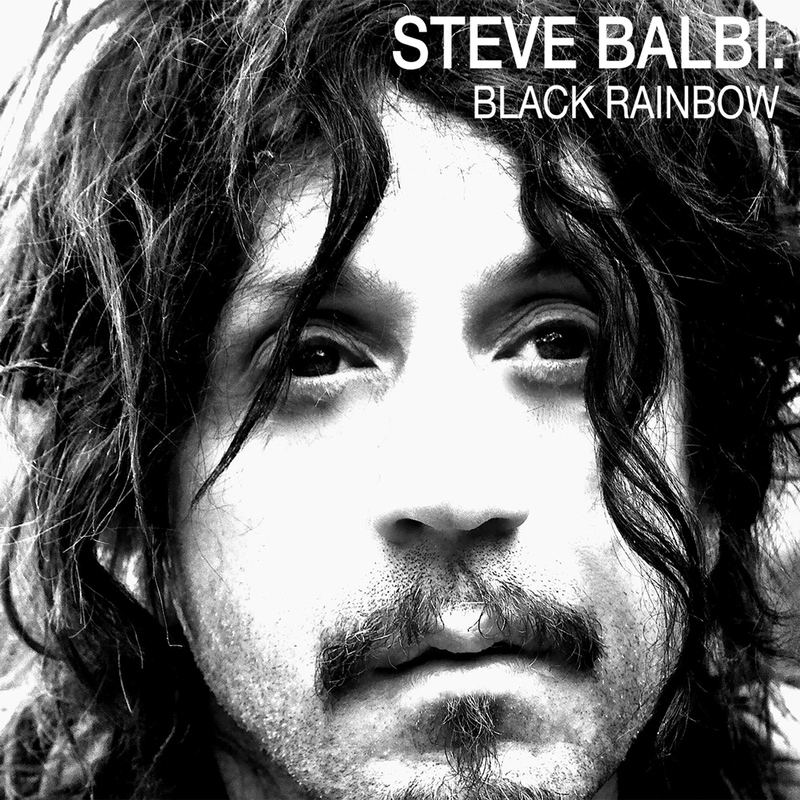 It’s been a long time coming, but virtuoso musician, songwriter and performer Steve Balbi, will release his debut solo album, Black Rainbow, on Friday 13th September. He’ll then take the album on the road in October, touring with the Baby Animals to Newcastle, Brisbane, Adelaide, Canberra, Geelong, Melbourne, Perth and Sydney. Balbi, the former bass guitarist for Noiseworks, Electric Hippies and Rose Tattoo has created a rock album that reflects on where he’s come from and where he’s going. A remarkable story that comes with being the familiar face of one of Australia’s biggest bands of the late ‘80s and early ‘90s, and living the rock ‘n’ roll dream. “Adversity can be the greatest teacher, as long as you don’t give up. In a way what this record is doing, it’s summarising my past and bringing me right up until now, so I can move on in a forward direction. Black Rainbow has an overarching sense of optimism tinged with a hint of darkness, much like my journey in life so far,” said Balbi. Black Rainbow carries a handful of songs written in recent years with Balbi’s former band, Move Trees. There’s also a reworked version of Touch, a top 5 hit for Noiseworks back in 1988. The album is self-produced, and Balbi has released it via the independent route, with Social Family Records. After playing bass in Rose Tattoo, Balbi formed hit-making Australian rock band Noiseworks in the mid-eighties. Noiseworks released their self-titled debut album in 1987, becoming an instant success. The album sold more than 200,000 copies and went triple platinum in Australia. Following four Top 10 albums, Balbi left the group with fellow Noiseworks bandmate Justin Stanley in 1993 to form the Electric Hippies. Other collaborations followed, but the enigmatic entertainer with a killer rock voice is now standing tall in his own right, without the safety net of a band behind him. Balbi will tour the new album as special guest on the Baby Animals forthcoming “Feed The Birds” tour, beginning in Newcastle on Saturday 12th October. Tickets are now on sale from various outlets listed below. Black Rainbow is out Friday 13th September. 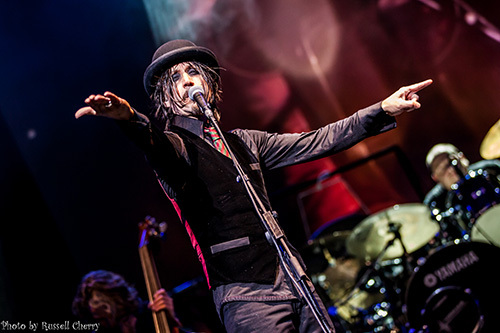 Tickets for the “Feed The Birds” tour, exclusive fan bundles and copies of This Is Not The End and Feed the Birds (Live) are available from www.thebabyanimals.com. This Is Not The End is also available now from iTunes. I just realised that Animal Crossing: New Leaf is the only 2013 game I’ve played this year. The entire year I’ve been catching up on games from industry’s past. Two of these games were Ico and Shadow of the Colossus, two very important and influential games that we frequently point to when we argue that games can be art. Journey, a downloadable Playstation Network title developed by thatgamecompany, came out last year and it’s the most artsy game I’ve played to date. Journey sees you take control of a nameless robed figure in a vast world. I noticed that the robed figure looks like the menacing Garos from The Legend of Zelda: Majora’s Mask, but in Journey your character is much more malevolent. You are not given any guidance in the game whatsoever aside from a few control prompts. There’s no heads up display or anything like that. There’s no dialogue at all, and the cutscenes do not explicitly tell you who are or what your purpose is. As you look around and observe the visually amazing landscape around you, you realise that the only way forward is to head towards the mountain in the distance. This is where you start to see subtle clues about this amazing world the developers have created. The simple gameplay matches the minimalist art style of the game. You jump and fly with the X button, chime (make a musical sound) with the Circle button, control your character with the left stick and move the camera with the right stick or the SIXAXIS (first time I’ve ever used it…). You use these moves to interact with the world and the other player. Who is the other player? They are an important part of the experience. If your console is connected to the internet, another human player who looks the same may be encountered. They are not essential to completing the game, but not only can they make it a little easier (not that the game’s hard) but they also vastly improve the enjoyment of the game. There’s no usernames, no voice chat, none of that, so you know absolutely nothing about the other traveller. I encountered three travellers throughout the game, but if you’re lucky you can be with the same buddy the entire time. You communicate by chiming, which can be difficult but I wouldn’t want the game any other way. Thatgamecompany should be applauded for how they have seamlessly integrated this online multiplayer component. I was quite sad when my first companion disappeared, but when I got to the next section of the game a new one appeared, and since they are humans you enjoy noticing the subtle and not-so subtle behavioural differences of the travellers. Together or alone, you’ll interact with and activate pieces of fabric which behave like mythical creatures. These fabric things will enable you to fly and reach new areas. The music is orchestral infused with some electronica and plays at all the right moments as you explore a new area and surf through the sand to uplift you the same way the visuals and your companion do. There wasn’t a time in the game where I was stuck, the game is designed in such a way that you always notice where to head next. It’s obvious that the developers had placed such fine attention to detail to make sure the game paced as well as it does. I’m glad no-one was watching me play, because I was smiling like a dork for a good majority of the game. The game is not very difficult, and it’s also quite short. In fact, I beat it under two hours in one sitting, which I think is the way it should be played. 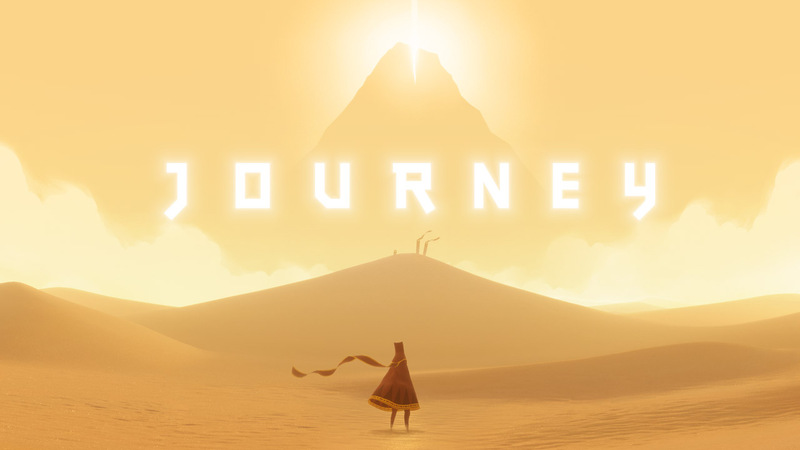 I rarely replay games a second time, but Journey’s short length and artistic design is already calling me back to reinterpret the story and have a different experience with another stranger. Some may be bummed out by its short length while others may be think it’s better that way. Personally, I think it needed one extra section and it would have been perfect. I haven’t talked about this game in detail and there’s a reason for that, it is truly a game full of wonder, discovery and imagination. I will punch myself in the nuts for that corny line but it’s true; expose yourself to as little information about the game until you play it. I give you permission to just check the score on the bottom and leave this review now to just play Journey as soon as possible. Due to the fact that very little information is given to the player, everything that happens is up to everyone’s unique interpretation, and each time it will be a different experience with another anonymous companion. You will not care that it’s not like an ordinary game because it’s an extraordinary experience (punch myself again) that only a video game is capable of. If anyone plays this and tells me that video games cannot be art, than I will punch them in the nuts because Journey is pretty damn convincing. The minimalist approach to the gameplay, the story, the visuals, the soundtrack and the multiplayer makes for a unique experience that EVERYONE should enjoy. I mean it, download this game on the PSN right now and play it in one sitting. You will not regret it. I love this game, and I’ll definitely be replaying it this weekend. I award Journey with a score of 4.5/5.